Part of the fun brain times comes from getting some documents submitted for work. There's a lot of media around a project we're working on so every i dotted, every t crossed, and then reviewed 8 separate times. The good news: they were done on time and now I have a week of work to do in two weeks. The bad news: I was so forgetful during the last two weeks of the document writing that I may have missed my friend's wedding. But it hasn't been all doom and gloom and missed weddings. I spent part of the long weekend with Noah and Rachel. He was able to come home for the weekend, so he looked after the niblet while Rachel and I did yard work. He's doing... better? Let's put it this way, he's not worse. At any rate, it was wonderful to spend some time with both of them and to feel like I was being helpful. I mentioned I was going to see Rodriguez in a recent post. Just to follow up, it was a wonderful concert. I'd say he's legally blind given how he moved around the stage, and he definitely was showing his age, but I would have gladly paid more than I did to attend. It was just him on stage and it felt like sitting in the backyard with 1400 friends while one of them played the guitar. He played his hits and some covers, people shouted songs from the audience, he chatted away like he was having a conversation with all of us. Most importantly, he played my favourite song. I'm blogging my Tanzania trip over here: A Rambling Nerd It wasn't my intention to start a separate blog from travel but I have a few coworkers and friends-of-friends who want to follow along. While I have no problem defending anything I wrote on this page, I like that it's my little corner of the Internets which is only read by a handful of people - almost all of whom I know in real life - and I can swear in a post if I want to. (I give myself five posts before I probably swear on the other blog as well.) I will post links to my posts over here, so you don't have to follow it as well. I just wanted to make you aware of why there won't be any proper posts on here for Tanzania. Down time in Stone City, Zanzibar thanks to the rain. I discovered that my coworker is going to Kenya to visit his family and our time in East Africa is overlapping by 10 days. We are going to be a half-day's drive away from each other but because of his family commitments when he's there - he gets to see his baby girl for the first time (!!!) - he can't come south, and because of my commitments when I first arrive, I can't go north. Ack! We should have planned this better! We joked that we'd set a time to climb the tallest buildings in our respective cities and wave at each other. The coworker in question is actually (South) Sudanese but his family fled Sudan (now South Sudan) when he was young, and he spent his teen years in a refugee camp in northern Kenya. His family has since been able to relocate permanently to Kenya while he was accepted to a Canadian study program. His wife and new daughter (again !!!!) are still in Kenya. I bring this up because, while the Syrian refugee crisis is very serious, refugees exist in pretty much every corner of the globe. As of 2015, there are roughly 15.5 million refugees in camps. There are also 37.5 million Internally Displaced People (IDP - people forced into refugee camps within the borders of their own country) Currently, out of the 10 largest refugee camps in the world, seven of them are in Africa. If you want to support efforts with refugees, please consider an organisation like the United Nations High Commission for Refugees where your donation goes to helping refugees all across the globe. Remember when I ended up in the ER because of my teeth? Initial check said two root canals and a crown immediately, and two more crowns in the next 18 to 24 months. The initial check was wrong. I ended up with three root canals and two crowns immediately, with one more crown in 18 to 24 months. It all went off as smoothly as that much work can and I was feeling much better about my teeth situation as I prepared to head of to Tanzania. While writing this blog post, a small piece of dinner was stuck between my teeth and driving me nuts so I decided to floss them. My reward? I popped out one of the crowns they put in back in July. I should have gone the route of my Uncle Matt who had all his teeth pulled at the age of 36. 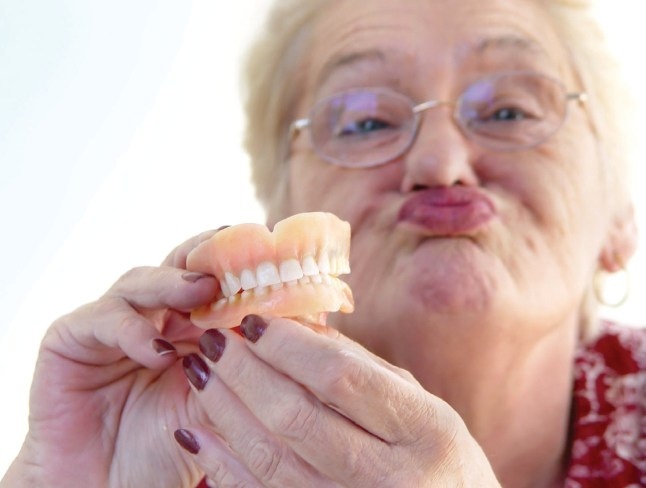 Dentures are less hassle, right? Ugh. If you need me, I'll be in the corner softly weeping.